Four men and three women subjects (age range, 20 to 47 years) who presented with newly diagnosed sarcoidosis were studied. Chest roentgenograms showed bilateral hilar lymphadenopathy in all seven patients and pulmonary infiltrates in one. Their mean serum ACE level was 55.9 ± 8.0 nmol/ml/min (upper limit of normal, <41 nmol/ml/min), and the diagnosis was confirmed by mediastinal biopsies which revealed noncaseating granulomata negative for acid-fast bacilli or fungi on histologic staining and culture. No patient had received corticosteroids. There were three men and three women control subjects (age range, 56 to 72 years) who had lymph nodes resected at mediastinoscopy or laparotomy. In all but one subject, these operations were performed for nonmalignant disease (eg, cholelithiasis, retrosternal goiter). One patient who had a mediastinal node resected was found to have metastatic carcinoma of the lung. Lymph nodes were transported directly from the operating theater in phosphate-buffered saline solution (150 mM sodium chloride, 10 mM phosphate buffer [pH 7.4] and 0.02 percent sodium azide) (PBS) and then bisected. One half was then lightly fixed in 1 percent paraformaldehyde in PBS for one hour, and then both halves were frozen in isopentane on dry ice and stored at — 80°C. The unfixed half was later thawed and homogenized on ice in 10 volume PBS using a homogenizer (Kinematica Polytron) on setting one for five 10-second bursts. The homogenate was centrifuged at 2,000 g for ten minutes at room temperature. 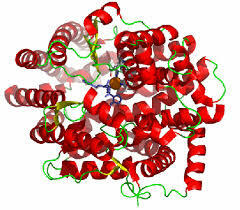 Angiotensin-converting enzyme activity in the supernatant was assayed using the synthetic tripeptide substrate, hippuryl-L-histidyl-L-leucine (Protein Research Laboratories, Japan), under the assay conditions of Cushman and Cheung with fluorimetric detection of liberated histidyl-leucine using o-phthaldialdehyde. Protein concentration was measured by the method of Lowry et al, and ACE specific activity was expressed as nanomoles per minute per milligram of protein. Serum was taken from patients at the time of operation and assayed by a similar method. The 95 percent confidence limits of serum ACE (mean ± 2 SD) for normal subjects was 14 to 41 nmol/ml/ min for men subjects and 16 to 34 nmol/ml/min for women subjects. In vitro Autoradiography. The lightly fixed half of the bisected lymph node was cut at — 14°C in a cryostat to give 20p.m frozen sections which were thaw-mounted on gelatinized slides and placed in a vacuum desiccator for two hours. The slides were preincubated in PBS containing 0.2 percent bovine serum albumin (pH 7.4) for 15 minutes at room temperature. They were then incubated for one hour at room temperature in the same buffer containing mI-351A (0.3ixCi/ml; 0.2 nM), a radioligand which specifically labels ACE. 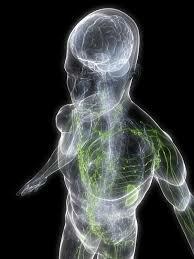 For each lymph node a nonspecific control was included using 2 mM edetic acid (EDTA) in the solution for incubation. This is a classic inhibitor of ACE and was found to give results identical to those obtained using an excess (ljim) of the ACE inhibitor, lysinopril. Nonspecific binding was always very low, being less than that of 0.1 percent of total binding. The slides were washed four times at 4°C in 500 mM tris-buffered saline solution (pH 7.4) and air dried. The sections were fixed by exposure to formaldehyde vapor at 80°C for two hours. The slide-mounted sections were then placed in radiographic cassettes and exposed to x-ray film (Agfa Ultrason) for 24 hours before developing. The resulting autoradiographs were processed by computerized scanning densitometry using an image processor (Eyecom II; Spatial Data Systems Inc). Optical densities in pixels of the digitized images were calibrated in terms of “*I-radioactivity by using a set of standards of 5-mm diameter slide-mounted 20iim sections of rat forebrain onto which had been applied known concentrations of ^I-labelled 351A ranging logarithmically from 100,000 to 10 dpm/section. Emulsion Autoradiography. The slides were treated as described previously except that after fixation with formaldehyde vapor, they were overlaid with coverslips coated with photographic emulsion (Kodak NTB2). These were exposed in the dark for five days before developing. Sections were stained with hematoxylin-eosin, and coverslips were mounted with DPX medium. Photomicrographs of emulsion autoradiographs were taken using a camera (Nikon FX-35A) and microscope (Nikon UFX). The degree of fibrosis of the lymph node was graded by two independent pathologists unaware of the results of the serum ACE or autoradiography, using hematoxylin-eosin and Mallory trichrome stains. Radioligand. A derivative of the potent specific ACE inhibitor, lysinopril, called 351A, was used. The ACE inhibitor, 351A, was radioiodinated by the chloramine-T method” and the reaction products separated on a gel column (SP-C25 Sephadex). The ^I-labelled 351A was shown to have high-affinity reversible binding to rat pulmonary membrane fractions rich in ACE, and there was displacement of ^I-labelled 351A by a range of chemically unrelated ACE inhibitors including lysinopril, enalaprilat, captopril, and teprotide. The potency of these inhibitors in displacing the radioligand paralleled their anticatalytic activity, indicating that ^I-SSIA labels the active site of ACE. Statistical Methods. Comparisons of serum ACE, specific ACE activity in the lymph node, and autoradiographic results were assessed by two-tailed nonpaired f-test.